Because we need more wind power. In 2002, our non-profit organization stepped into the voluntary green power market, hoping to speed up pace of wind & solar development. A lot has changed for the better since then, but we’ve still got a long way to go. To get there, we need to speed up development of onshore wind power, and that's what New England Wind Fund does. Each $100 contribution will be spent on 3 megawatt hour (MWH) of wind power within 10 years. That’s enough to power the average household for nearly 6 months! Your contribution helps ensure that Green Energy Consumers can commit to funding more wind turbines for years to come. Read more about New England Wind Fund. Give easily on your mobile phone - text WIND to 56512! $400,000 can purchase at least 12 million kilowatt-hours of wind power, or enough to power over 1,700 homes for a year. Why New England Wind Fund? Since 2002, contributors have made tax-deductible donations to the Fund. We spend at least $100,000 from the Fund each year. This means that, roughly, we are able to support 2.5 million kilowatt-hours of wind power every year – the equivalent of what it takes to power 357 homes. How does the Fund differ from our green power program? 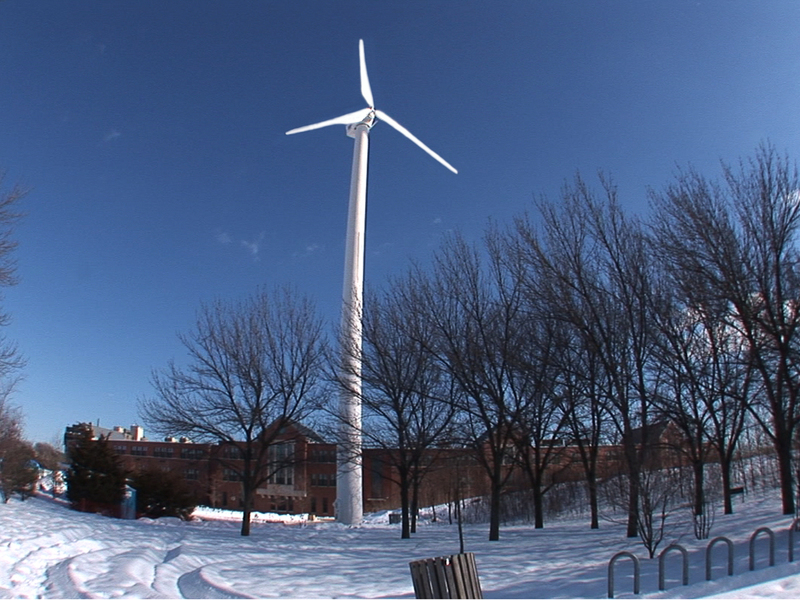 Green Powered is a program designed to support local renewable energy development. If you're a member, we buy renewable energy to match the kilowatt-hours that you use, spending your matching contributions immediately on renewable energy certificates. In order to make the biggest impact for developers, however, we make long-term commitments to wind projects to buy those certificates not only now, but in the future. Unlike Green Powered, the funds in New England Wind Fund can be held for a rainy day, ensuring that we can honor these vital financial commitments in the future, even if membership in the other programs declines. New England Wind Fund creates an enormous amount of helpful financial leverage for Green Energy Consumers. Whether you're a member or not, making a contribution to the Fund is another great thing you can do for wind. New England Wind Fund has been around since 2002, and in recent years has boosted our annual investment in wind power by $100,000. Your contributions will help support these turbines and brand new turbines too. Learn more about the turbines in Green Energy Consumers’s portfolio below. In just 2 minutes, you can make a tax-deductible contribution to the Fund today. You can give that contribution as a gift in honor of a loved one or decide to contribute monthly too! If you're a member of our green power program, investing in the Fund is another great thing you can do for wind. Scroll up to read about how the Fund differs from our green power program. Online: Use our online donation form. Donate once or set up a monthly contribution. Give now! Text: Text WIND to 56512. Call: Call 800-287-3950 x5 and say you want to donate to the Fund. 80% of your contribution will cover our cost for purchasing the renewable energy certificates; 20% will support Green Energy Consumers, a non-profit organization, to run this program.